I found this little gem of an idea via Icing Designs, but wanted to share it here cause I think it's totally genius! 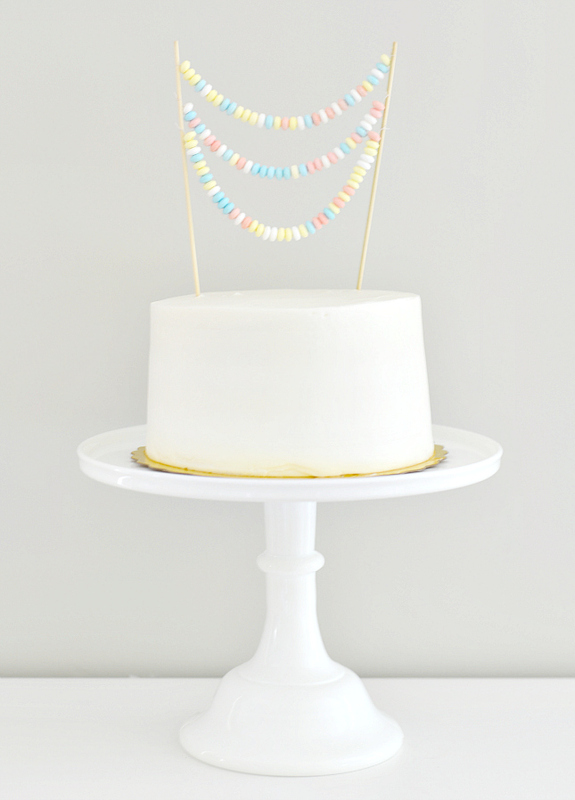 Using a candy necklace as cake bunting or topper is such a cute idea for a sweet shoppe party or just an easy way to dress up your cake. Perfect for any occasion! Find the original post at Best Friends for Frosting.